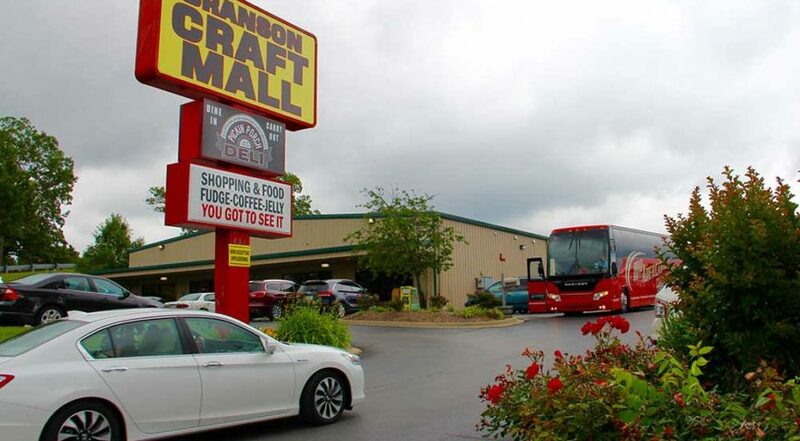 When you’re ready to come in from the rain or beat the heat, but you don’t want to take time out from your fun-filled Branson vacation, the Branson Craft Mall is just what you’re looking for. One of Branson’s favorite rainy-day activities, the Branson Craft Mall often ends up one of visitors’ favorite Branson memories — no matter what the weather might be like outside. Experience the Ozarks’ special brand of Americana as you explore 16,000 square feet of artisans and their wares, including hand-painted home goods to iron works and candles, and everything in between. Once inside the fully air-conditioned space, Branson Craft Mall visitors can stroll through more than 200 booths full of arts and crafts created by imaginative artisans from all over America in an atmosphere that allows them to view the creations at their own pace. Whether you’re shopping for souvenirs, a special gift or the perfect element for your own home, you’re sure to find it at this unique location. Popular booths feature arts such as tapestries, stained-glass ornaments, engraved baseball bats, holiday decor, handmade doll clothes and colorful pottery. The Branson Craft Mall is so much more than a shopping experience. Visitors get a first-hand look at working craftsmen creating their art. Artisans include basket weavers, silversmiths, potters, engravers and carvers, as well as clothing, bead and stained-glass artists who not only create the arts and crafts sold at the mall, but also design custom works and sometimes even lead classes to teach others the tricks of their trades. One of those artists is silversmith Arlen Evans, who creates unique pieces for sale at the mall, but really enjoys designing his customers something special. Another artisan showcasing her work at the Branson Craft Mall is Marci Evins, who is primarily a soap maker, but also creates a variety of products available at her Round Barn Crafts. Since no Ozarks shopping experience could ever be complete without an array of delicious handmade treats, the Branson Craft Mall’s Hillbilly Nut and Fruit Co. features its own variety of dried fruits and roasted nuts, as well as jams, jellies, salsas, soup mixes and even local honey. Want to satisfy your sweet tooth? Try some of the Branson Fudge Co.’s scrumptious fudge and top it all off with Branson Coffee Co.’s gourmet coffee that’s not only ground fresh daily but also sold exclusively at the Branson Craft Mall. Chances are once you start browsing through the arts and crafts offered at the Branson Craft Mall, you’ll find yourself sticking around for a while. There’s no need to leave for lunch, just pop in to the Pickin’ Porch Deli and savor some mouthwatering Ozarks’ sandwiches, soups and salads. Located on Highway 165, just a hop, skip and a jump south of Branson’s famous 76 Country Boulevard, the Branson Craft Mall is open seven days a week. Your motor coach is welcome to park in the ample parking lot, a coach entrance is located in back and you can even pull your group right up to the front doors. What are you waiting for? Whether it’s hot or cold outside, you can have plenty of Hillbilly fun at the Branson Craft Mall!